A handful of ingredients merge to create an amazingly elegant and delicious main course with little effort. If possible, buy organic chicken for this dish; there are so few ingredients that each ingredient really should be of impeccable quality. If you have trouble finding truffled Gouda or other truffled cheeses at your market, simply use Fontina from d’Aosta, Raclette, or Gruyere instead, and if you have some on hand, drizzle with truffle oil just before serving. 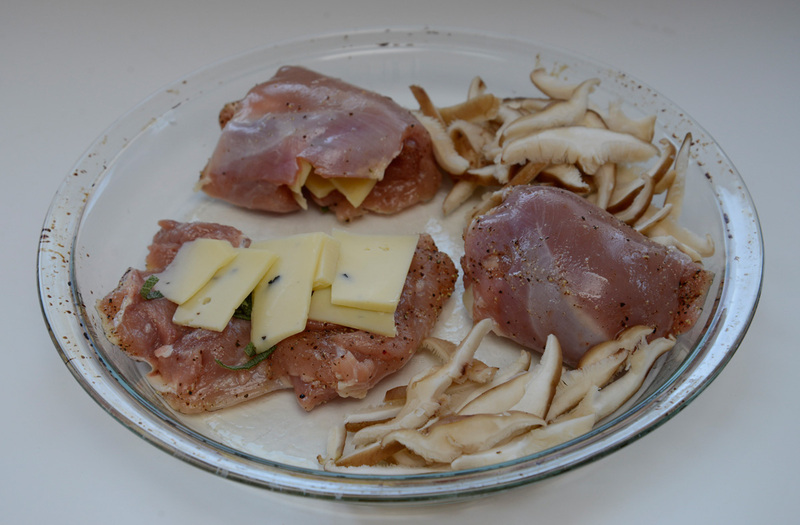 and depending on how salty your cheese is, you may want to use more or less salt to season the chicken and mushrooms. Serve with canederli and a green salad tossed with lemon juice and olive oil for a splendid supper. Preheat the oven to 325° (preferably set on convection). Lightly oil a 9-inch pyrex or other baking dish. Scatter the shiitake in the baking dish. 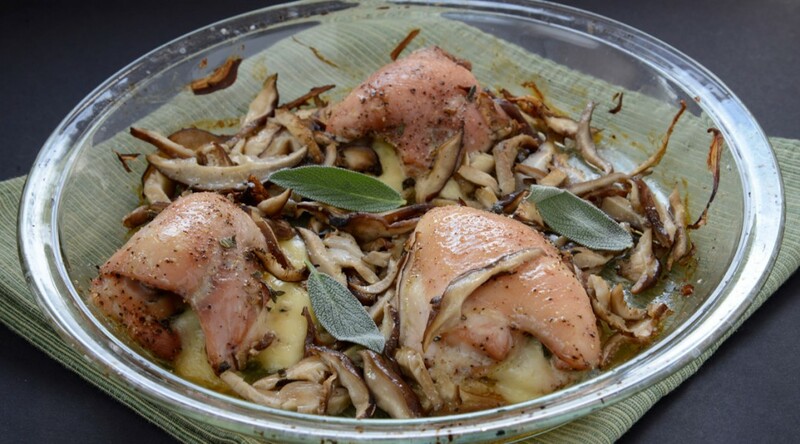 Lay the chicken thighs in the dish, with the smooth side facing down. Season with ¼ teaspoon of the salt and 1/8 teaspoon of the pepper. 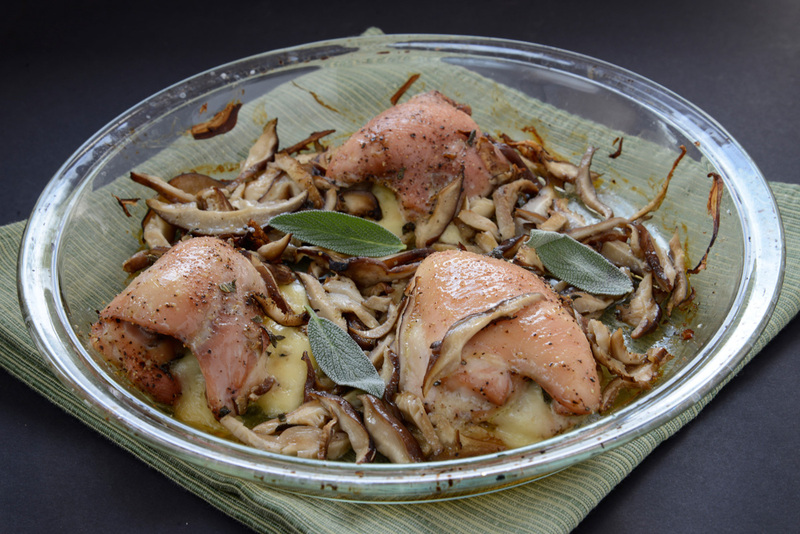 Divide the truffled cheese evenly among the thighs and sprinkle with half of the minced sage. Roll into neat bundles and spread out in the dish so they are not touching, seam-side down. 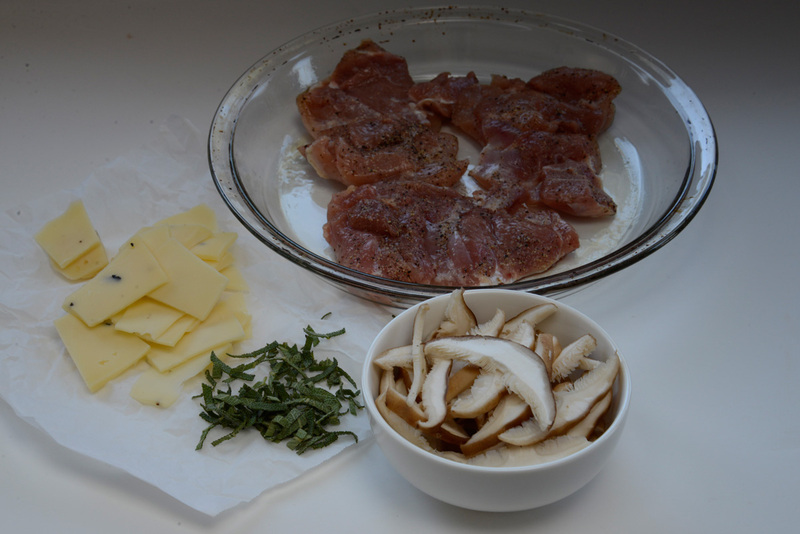 Season the shiitake and the top of the chicken bundles with the remaining ½ teaspoon of salt and 1/8 teaspoon of the pepper. Drizzle with the olive oil. 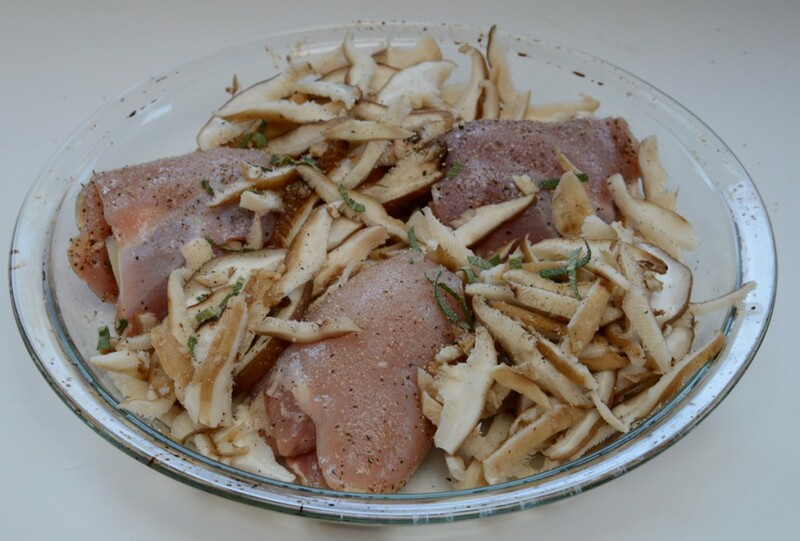 Scatter the remaining sage all over the shiitake and chicken bundles. Cover with aluminum foil and bake in the preheated oven for 45 minutes, then uncover and bake another 10 minutes, or until golden brown on top. Serve hot, garnished with the whole sage leaves.